Kavaratti, April 11: Around 37.7 per cent voters in Lakshadweep exercised their franchise till 1 p.m. on Thursday, as per the Election Commission. The general elections kicked off with the first phase of polling on Thursday across 91 Lok Sabha constituencies spread over 20 states and Union territories. 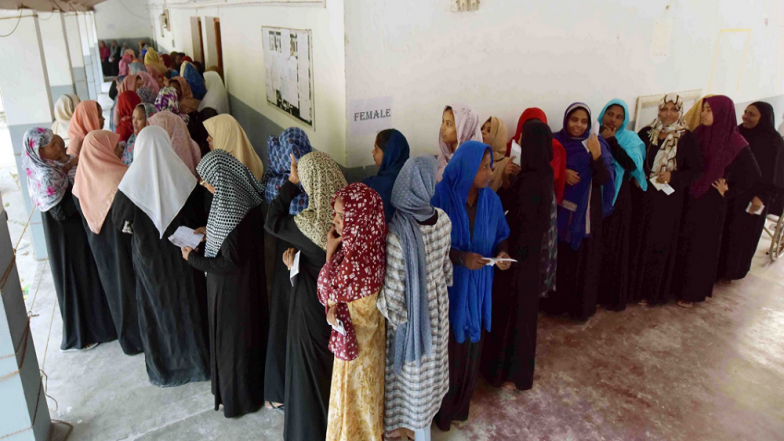 Lakshadweep, the smallest Lok Sabha constituency with 54,266 voters, has six candidates from the Congress, the Bharatiya Janata Party (BJP), Communist Party of India-Marxist (CPI-M), Communist Party of India (CPI), Janata Dal-United (JD-U) and the NCP in the poll fray. Odisha Lok Sabha Elections 2019 and Assembly Polls: Voting For Phase I Continues, Zero Voters at Two Polling Booths in Malkangiri. The constituency is likely to see a close contest between incumbent Nationalist Congress Party (NCP) MP P.P. Mohammed Faizal and former Congress MP Hamdullah Sayeed, son of former Union Minister late P.M. Sayeed.